I am sending a couple of fan clutches out to Dennis Kirkconnell to be restored and I can't make out the date on one of the the CZ fan clutch I will be sending them for restoration. My 02D L78 (final build Feb 26 1969) still has its born with fan clutch dated (A 17J) Jan 17 1969- so is it reasonable to think 4- 5 weeks prior?, for my 04C ( final build date April 28 1969) I know things were really ramped up during that time frame with limited inventory. Anyone have a 04C L78/L72 with a born with clutch that can tell me what the date stamp is on their clutch? Hey Fred hope this helps. It's a CV Clutch fan but not sure if CZ carried the same dates. My former LS6 had this on an 04C cowl tagged SS. Anyone else have something to compare for 69 L78/L72? Eaton CZ? 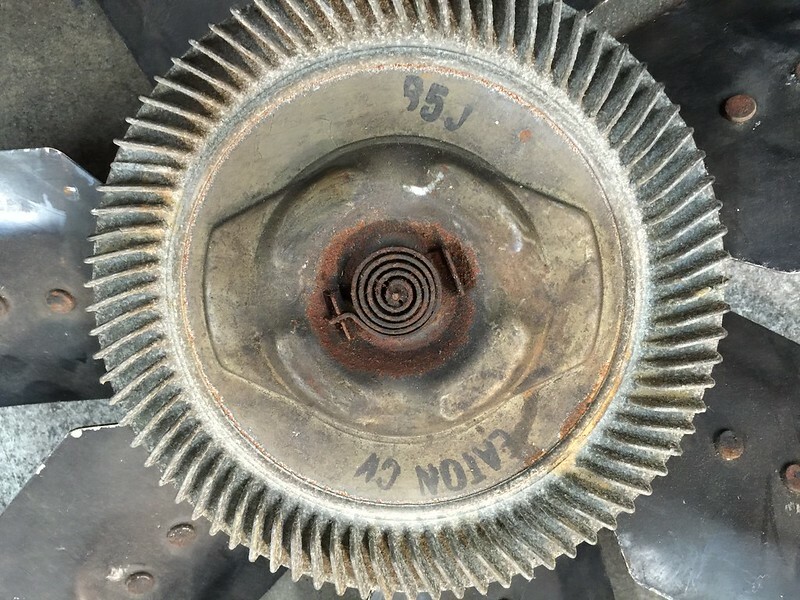 Fred, I can't help you with your date code question however I want to endorse your choice of fan clutch rebuilder - I've had 2 Eaton CZ clutches restored by Dan Kirkconnell in New Port Richey Florida. His work is exceptional and his turn-around time, very reasonable. Last edited by Edgemontvillage; 08-19-2018 at 03:19 AM. No pics but I've got a C25 dated CV for a 6D chevelle. Virtually everything I've found has been original to the car since it's been off the road since '74. I appreciate the response-trying to get this right the first time!